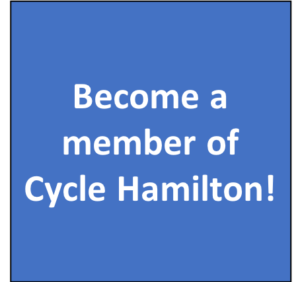 Cycle Hamilton contacted all Municipal Candidates that provided an official email address in order to better understand their positions on bike-related issues. The survey was conducted online and received 74 responses from candidates running for municipal election. Responses were received from candidates in all 15 Wards and from Mayoral candidates. To give citizens a sense of where our incoming Council stands on active transportation and road safety, we have pulled responses from three survey questions and listed them below. Responses from all incoming (including incumbent) councillors are provided below. 1) The City has fallen behind in our commitment to implementing our Cycling Master Plan. If elected, I will vote to allocate funds for us to catch-up? 3) In your opinion, is it important that Hamilton increase the number of protected bike lanes? Why or why not? Maureen Wilson (Ward 1): Yes. Continuous, connected and protected bike lanes are safer for more riders while also offering consistency in form for vehicular drivers and cyclists. They are also more democratic. At present, our cycling options are darwinian. Jason Farr (Ward 2): Indeed it is. I know from bring many km’s of protected lanes to ward 2 in my time that the safer the infrastructure, the more use. The more use, the healthier our community is. Also makes great sense from an ec-dev investment perspective. We should also remember a protected bike lane is also a safe and protected sidewalk. Nrinder Nann (Ward 3): Liveable cities are transit and pedestrian-friendly cities. As the number of residents increases, we must prioritize modes of transportation that are both environmentally-friendly and safe. Protected bike lanes are a key part to making that happen, so that everyone feels safe to explore and commute in and around the city. Sam Merulla (Ward 4): Yes, due to increasing cycling and mitigating congestion and wear and tear on road infrastructure. Tom Jackson (Ward 6): It’s interesting that the City has BOTH “sharrows” and “dedicated” lanes. I believe that in the past the Cycling Community has supported implementing BOTH. IF “Protected” bike lanes is Cycle Hamilton’s ultimate desire, I would humbly suggest you may wish to clarify and state that objective unequivocally. Bay and Cannon are classic cases of “protected” BUT we have “shadows” and “dedicated” in many other parts of the City. John-Paul Danko (Ward 8): Protected bike lanes drastically improve safety and encourage cycling by people who are uncomfortable riding in mixed traffic (most recreational cyclists). Brad Clark (Ward 9): I agree that protected bike lanes on arterial roads, where feasible, prevents automobile/bike collisions thereby encouraging cycling. Maria Pearson (Ward 10): yes. 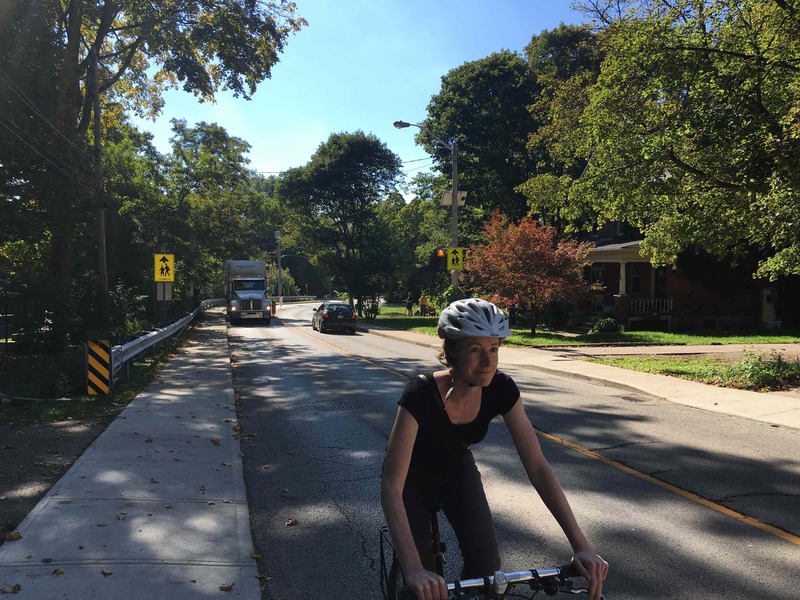 Brenda Johnson (Ward 11): Safe bike lanes are very important and I’m always working with the community to make sure that we incorporate bike lanes that meet the needs of both cyclists and vehicles for a balanced neighbourhood. Lloyd Ferguson (Ward 12): On a full reconstruction where the bike lane can be constructed like Wilson Street in Ancaster then yes. Arlene VanderBeek (Ward 13): Yes – riders’ safety and sense of safety is the goal. In addition, separations reduce the risk of collision with motor vehicles, which benefits all. Judi Partridge (Ward 15): As the current Councillor Ward 15 Flamborough I have requested all new road infrastructure in Flamborough include cycling lanes. Protected bike lanes within the city are important not just for safety purposes, there is better flow of cycling traffic. It also provides defined space for both vehicles and cyclists to be more aware of each other. Note: Cycle Hamilton did not receive responses from Chad Collins (Ward 5), Ward 14 (Terry Whitehead).